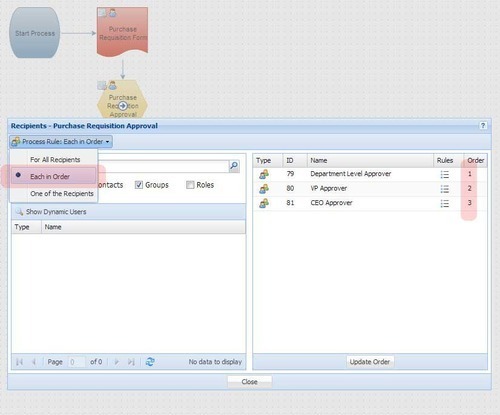 The Approval Task in Integrify provides a method to quickly add and configure an approval step in your workflow. 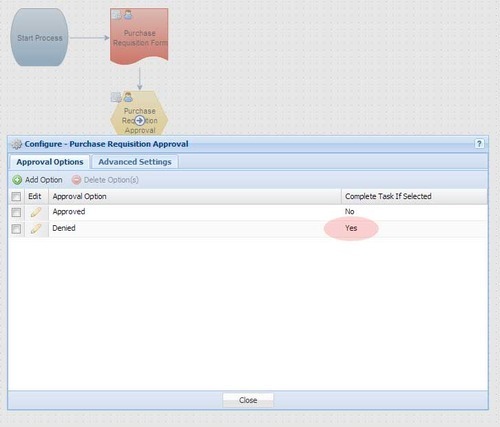 Configuring an Approval Task with a single approver is fairly straight-forward, but it can become more complicated if you have an approval process with multiple recipients, a required sequence, and thresholds associated with these approvals. Ok. So that handles the approval sequence, but what about the thresholds? 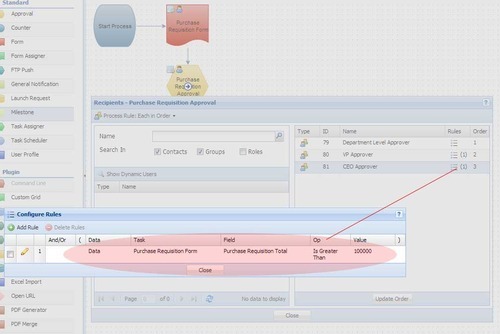 In our scenario, we only want the VP to receive the Approval Task if the Purchase Requisition is over $1000.To handle this, we just need to configure the data rules for the VP recipient (see below diagram). Similarly, we only want the CEO to receive the Approval Task if the Purchase Requisition is over $100,000. So, we setup the data rule for that recipient as well (see below diagram). In our scenario this would be useful in the case that any of the recipients deny the Purchase Requisition. 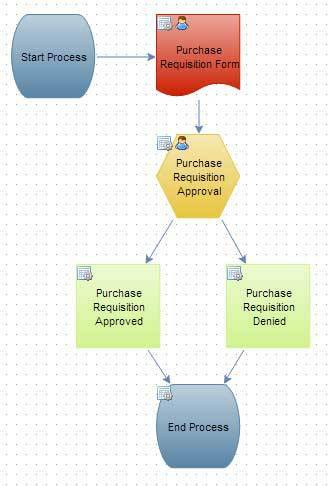 The idea being that once any of the approvers selects the denied option then there is really no reason for the other recipients to spend time reviewing the Purchase Requisition (since it has already been denied). 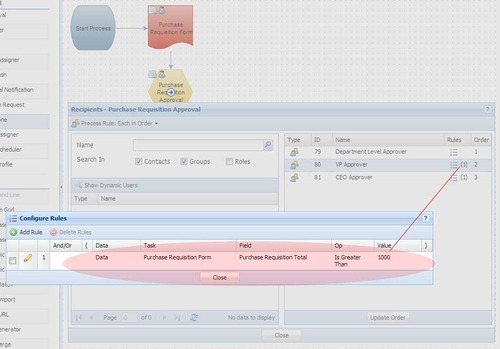 You can see how this option is configured in the diagram below.